Well, that was fun, wasnÃ¢â‚¬â„¢t it? We got to see Cody Reed pitch, finally. Adam Duvall hit a home run and struck out. The Reds lost in extra innings. And all was right with the world. Today, your Cincinnati Reds (27-42) finish up the series with the Houston Astros (33-36) in Minute Maid Park. No MLB debuts to speak of today, but thatÃ¢â‚¬â„¢s okay. WeÃ¢â‚¬â„¢ll still have fun. Brandon Finnegan takes the mound for the Reds following back to back wins and sporting a 2.41 ERA over his last five starts. HeÃ¢â‚¬â„¢s been one of the bright spots this season. LetÃ¢â‚¬â„¢s hope he keeps it up. The Astros counter with Mike Fiers, who joined the team last season in a mid-season trade with the Brewers. HeÃ¢â‚¬â„¢s coming off a win over Tampa Bay. DonÃ¢â‚¬â„¢t look now, but the Reds are 10-7 in June and, if they win today, will have won three series in a row. ThatÃ¢â‚¬â„¢s a far cry from where things were the first two months of the season. TheyÃ¢â‚¬â„¢re fighting hard. Hopefully Suarez is coming around? In June he’s hitting .273 (.349 obp / .876 ops) although the Ks are still at a crazy rate? He K’d 16 times in April but already with 24 Ks in June! Now that Billy is heating up its time to either bat him leadoff or bat him 9th? 7th makes no sense in normal NL play? Now if he’s on base and gets a meaty fastball for Cozart or Votto then that’s another story! At least bat Billy next to Holt. How poorly does BP have to hit to get him out of the three hole behind votto? If it wasn’t for the freak homer streak he had for those few games his ops would be off the charts poor for a three hole. We need a “give Phillips a free pass” day around here. I try, but then he grounds into another double play and the fires burn anew. It makes me scratch my had that at this point he is no better than the fifth best hitter on the team yet he continues to bat third. Probably afraid of another temper tantrum. With the troops coming in a few weeks I am not giving up on this team. They are only 9.5 out of the wild card. They are playing winning baseball with the crap pitching. They have over 90 games to go. Just pick 1 team off at a time. Today win and San Diego loses and there is the first team to pass. Got to have hope. The fact that they are actually behind San Diego and have to pass them speaks volumes about their chances though, doesn’t it. You should be a motivational speaker. Your positive attitude must be awesome . I get a positive attitude but your manager isn’t even trying to win? They’re more interested in massaging egos of guys like BP and Simon then they doing whats best for the team. Additions will be arriving…..but Cozart and Bruce will likely be leaving. They’re on pace to win 65 games at this point…..70-75 wins would be a great season. Until they are gone then I will believe it. With Cozart & Bruce leaving at some point, offensive will take big blow. Team will have to rely on pitching, defense & speed. Peraza shall take over SS, but I don’t see any replacement for Philips at 2B close in the minors. The ideal scenario is to trade Philips and keep Cozart, but that’s only ideal. 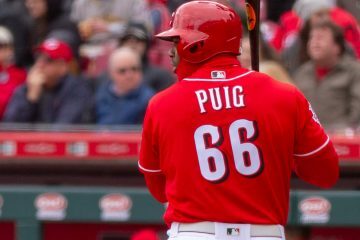 Do the reds lead the planet in lead off walks, or does it just seem that way? Way to get out of the inning, Finnegan !! Why haven’t the Reds put Simon on the DL if he has a sore shoulder? I’ve been trying to think this one through (dangerous where Reds FO is involved, I know). 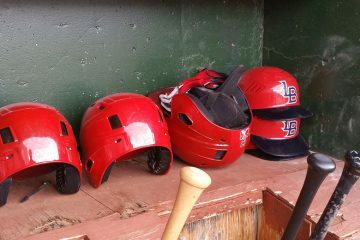 I find it especially interesting that Simon is apparently ready to go on the DL but the team doesn’t want to send him. Maybe there is some wrinkle in his contract or CBA that makes it serve the Reds purpose to not put him on the DL at this point. Maybe they are waiting for Lorenzen to get the OK to return were planning on DFAing Simon to open the 40 man and 25 man slots for him but can’t DFA him from the DL? But now that it is out in the open that he has a shoulder issue, it would seem their cover is blown if this is what was going on. The guy is a sunken cost and appears to be amenable to going quietly; so, it really is hard to figure with what we know from the public domain. I’m guessing the Reds didn’t find out that Simon was unavailable for Saturday’s game until they had already sent out Diaz, leaving the bullpen short-handed for Saturday. Apparently Simon told them it wasn’t any better Sunday. ….. Getting Lorenzen and/or Iglesias should help the quality of the bullpen, but it won’t be a cure for stretches of games when the starters struggle to get through five innings. Might just burn out the newcomers just as quickly. A big part of the “cure” to short starts is probably getting Robert Stephenson up to the Reds. World-class defense in centerfield, amazing !! Other than Billy’s catch I found this game to be a real snooze-fest.